Join us for our second Christmas Bazaar on Saturday December 1st from 9am to 2pm. Over 25 Vendors offering crafts, jewellery baked good, preserves, etc. Something for everyone! 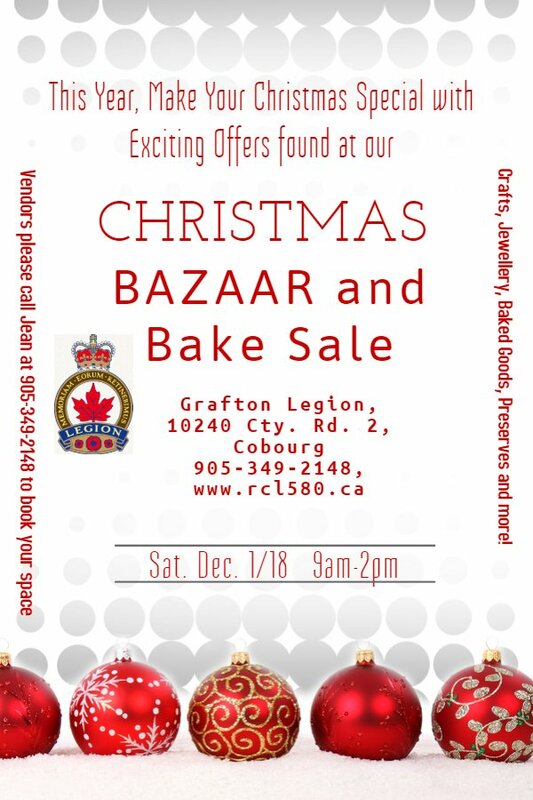 To reserve your Vendor table please call the Legion at 905-349-2148 and speak to Jean.